Esquire Realty Inc. is a full service Real Estate Brokerage that will help you keep more of your home Equity when you sell. No upfront fees or hidden charges! Esquire Realty Inc. is a full service DISCOUNT Real Estate Brokerage. We offer full real estate services throughout Alberta. Clients of Esquire Realty Inc. can save THOUSANDS of dollars in real estate sales commissions by listing their properties for sale on MLS, MLS.CA and the Internet. We are innovative and in touch with today's fast paced real estate market. We apply knowledgeable insight into the fabric of real estate throughout Alberta. We conduct our business affairs in a co-operative, ethical and conscientious manner for all parties. We apply appropriate approaches in law and finances to protect the client. We utilize the power of the internet to advertise, communicate and inform. We utilize the collective resources of the municipal Real Estate Boards to initiate, identify, and promote real property for sale. We provide a personal, individual service relationship for each client. Esquire Realty Inc. is a licensed member of the real estate industry under Alberta statutes through the Alberta Real Estate Association. A wholly owned property management division, Esquire Management Group, carries out a wide range of condominium, industrial warehousing, apartment, and residential property management activities. 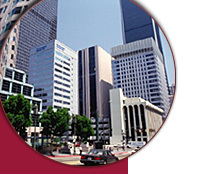 All property revenues are accountable to regulation under the Real Estate Act and regulated through the license of Esquire Realty Inc. Esquire Realty Inc. works with law offices, mortgage brokerages, building inspection services, architectural services and contractors to facilitate the property buying/selling process for clients. Esquire Realty Inc. provides property listing and sales services for single family dwellings owners, managed houses, and condominium unit owners of properties served by Esquire Management Group. Esquire Realty Inc. is a property-locating brokerage working for investors and home-buyers to source apartment and industrial/commercial properties, as well as residential properties for investment or home-buying. Esquire Realty Inc. undertakes warehouse and industrial lease negotiation for property management clients. Esquire Realty Inc. assists clients at a level appropriate for each property to undertake analysis and due diligence for any particular business/investment objective with a property. Esquire Realty Inc., through its management division, will undertake property renovation contracting for tenant improvements.